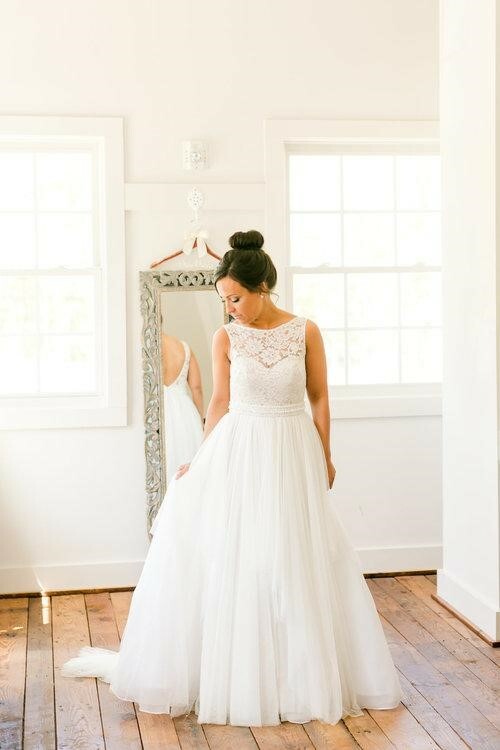 One of the most meaningful choices for the bride is, of course, her wedding gown. Boho wedding gowns offer a feminine, soft feel with delicate details such as lace. 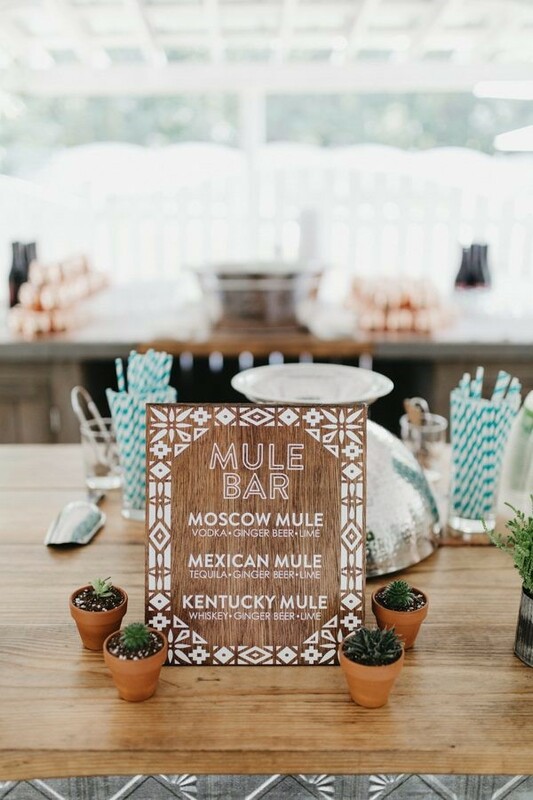 From decor choices to wedding party attire, each element combined with the setting provides depth to the boho atmosphere that encompasses effortless natural beauty. 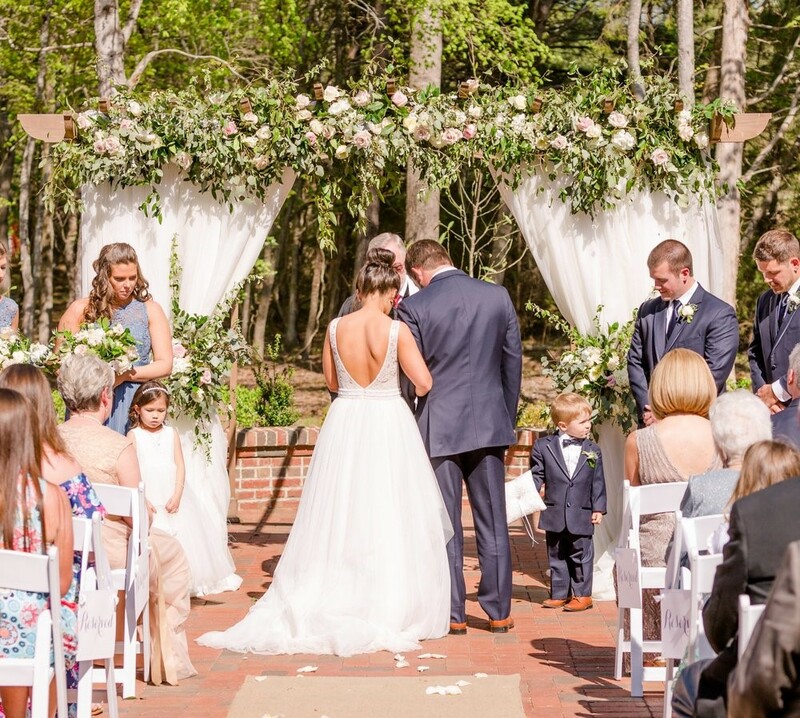 Here’s a look at three North Carolina boho wedding photos to celebrate boho weddings on the East Coast. 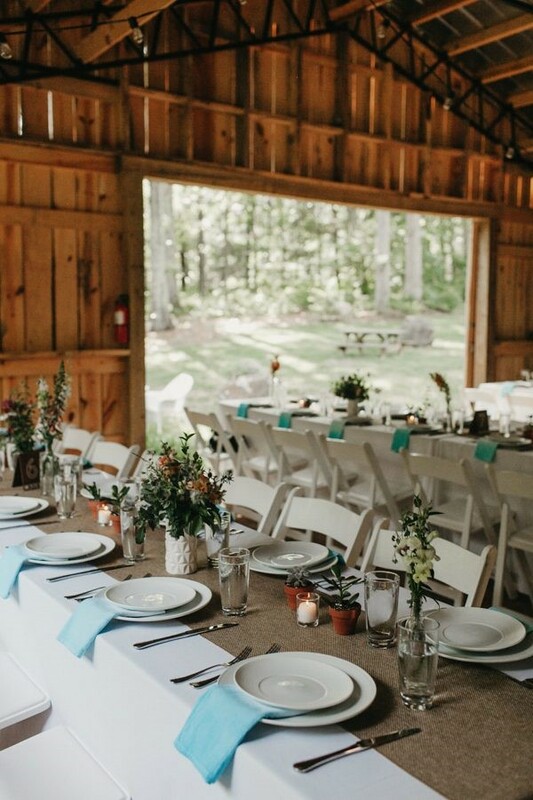 Seeking rural, rustic, and a relaxed setting there was no hesitation when Jessica and Marc booked Rock Quarry in Chapel Hill. Much of the decor was DIY and placed thoughtfully throughout the venue. 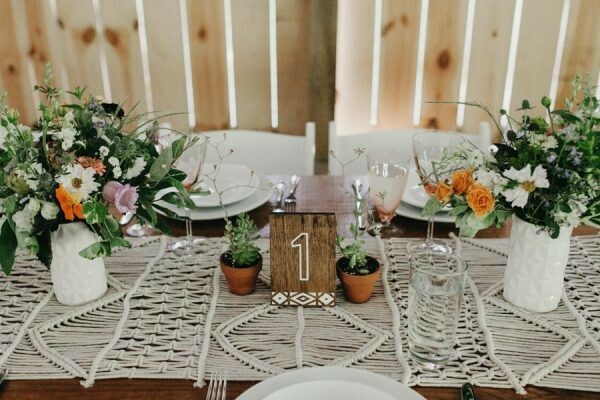 DIY and rustic elements included table numbers, bar menu, vintage glassware, and even dip-dyed napkins to add a personal touch. Jessica sourced a local flower farmer with the request that the bouquet reflects seasonal flowers. 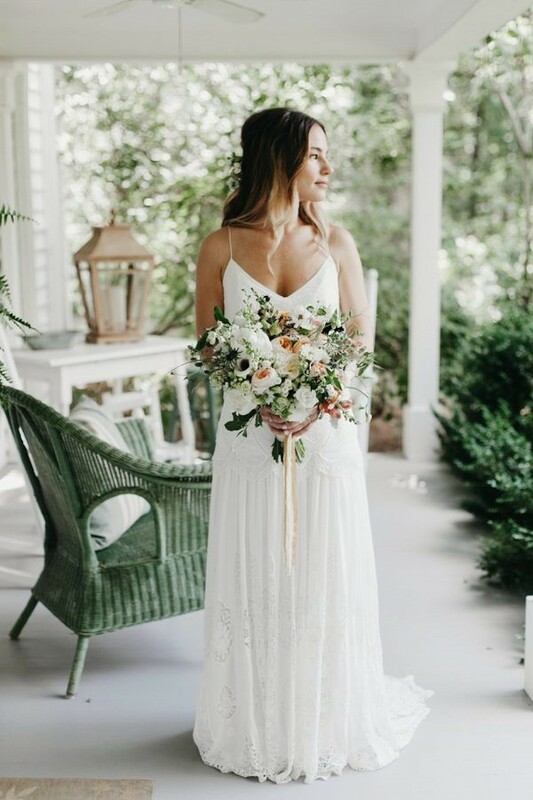 She appreciated a look that was very recent, seeking a bouquet that looked “picked that day.” In addition to the just-picked look of her wedding bouquet, Jessica’s Rue De Seine wedding gown created an effortless beauty fitting for the rustic boho backdrop of the Rock Quarry grounds. 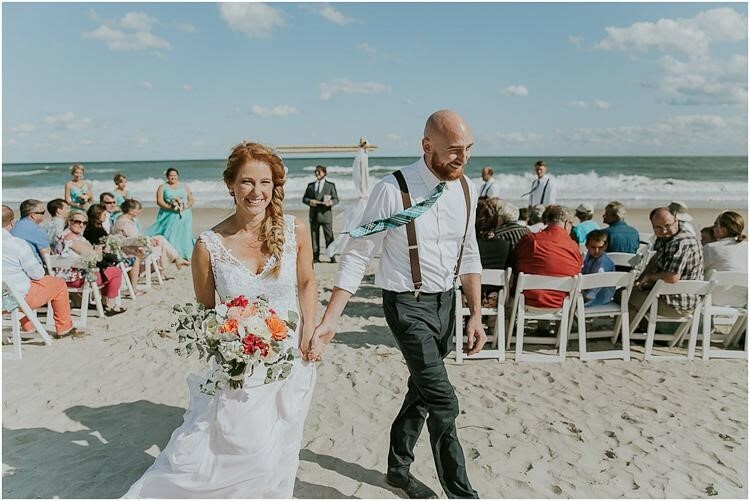 From beaches to woodsy natural backdrops, Eastern North Carolina offers the boho bride a variety of natural backdrops for your wedding. 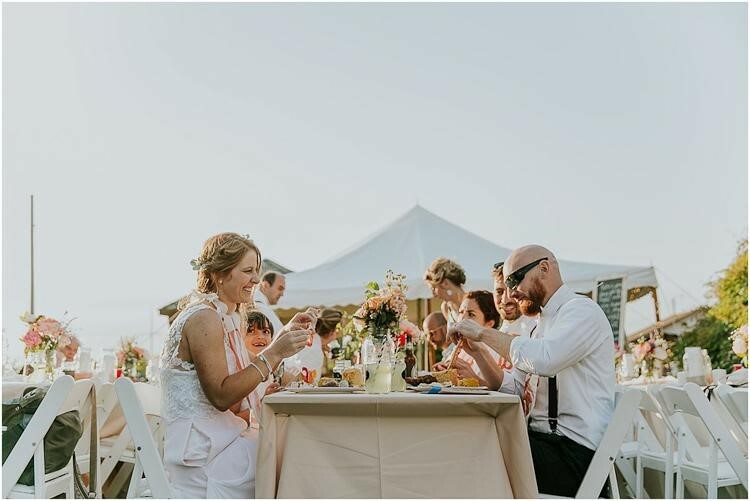 Once you have your venue, gown, and flowers chosen, contact American Dream Cakes to start designing the boho wedding cake that will complement your wedding style and story. Jessica and Jason took their boho wedding to the seashore. Driving from New Mexico to celebrate their special day, their ceremony was right here at North Topsail Beach. Sand, sky, and surf provided a beautiful boho color palette. The couple paired the beachy backdrop with DIY decorating projects from selfie station to the dance floor. 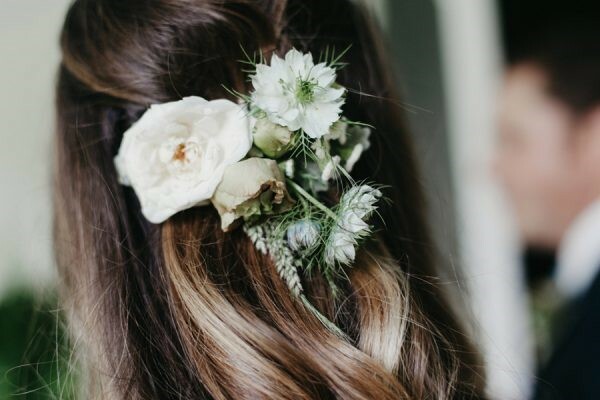 Boho elements including the bright floral hair accessories to the lacy layer on her wedding gown, each aspect pulls together a fresh and fun twist on a boho style. Bright reds and corals in bouquet flowers popped against the neutral sand and sea backdrop to bring a sense of light-hearted fun to their day. Clean white chairs for guests to sit and a simple bamboo gazebo gave the wedding party structure while allowing the natural background to shine through. 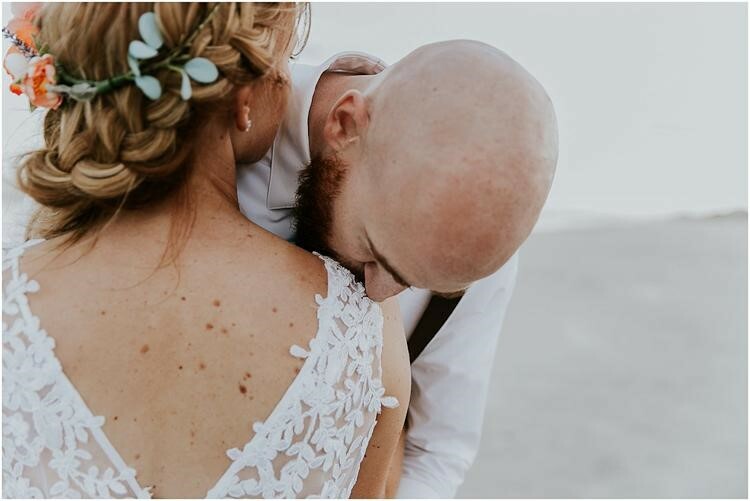 Additional elements to the boho wedding atmosphere such as the salty air and gentle sound of waves crashing on the beach made this an unforgettable beachy boho wedding for all attending. 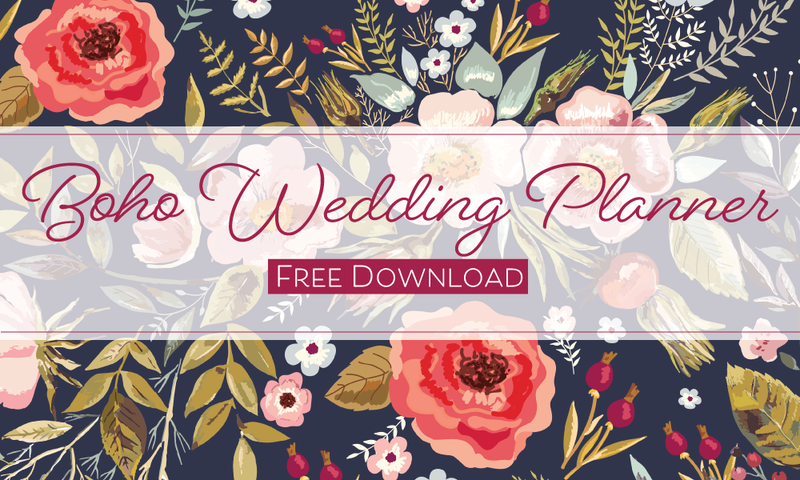 Finally, we look at Alex and Blair’s wedding set in the Barn of Chapel Hill. 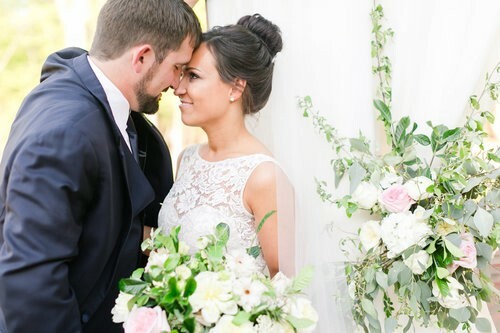 With more traditional elements and a few Boho touches, this beautiful wedding was set against a soft floral palette of sant, cream and blush pink. The bride is wearing a Calista gown by Theia Couture that features emerging Boho gown trends like an illusion neckline and deep rounded back. 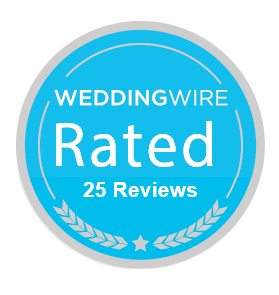 The outdoor ceremony was an elegant affair with natural beauty and simplicity. Boho weddings are beautiful. From the woods to the beach or the barn. Make your day memorable with natural elements, personalized DIY touches and of course, your custom wedding cake.